* Optional: Laminating sheets and laminator. * Click-n-fill Word Puzzle bag, Word Puzzle bag, Click-n-fill Word Puzzle and Word Puzzle rows templates. Graphics are from CC57: Forest animals. 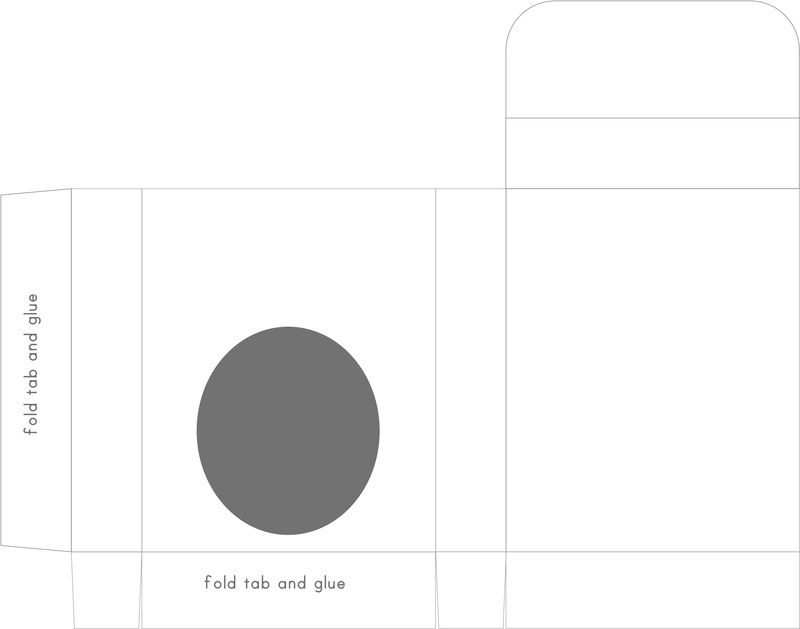 Open a portrait sheet in your print program. 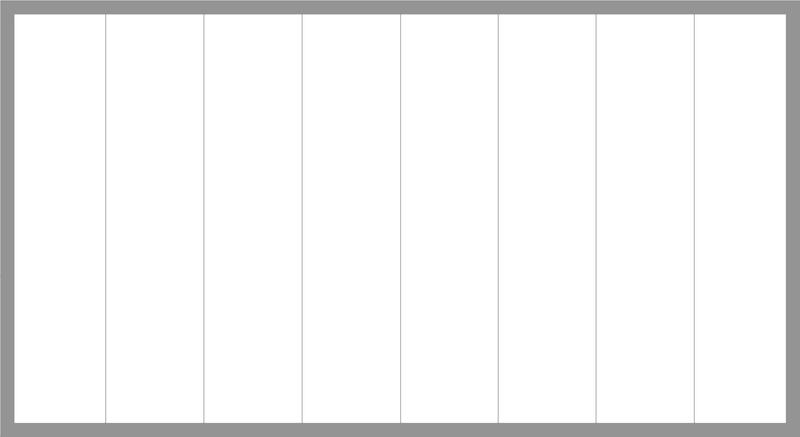 Import the word puzzle rows template. 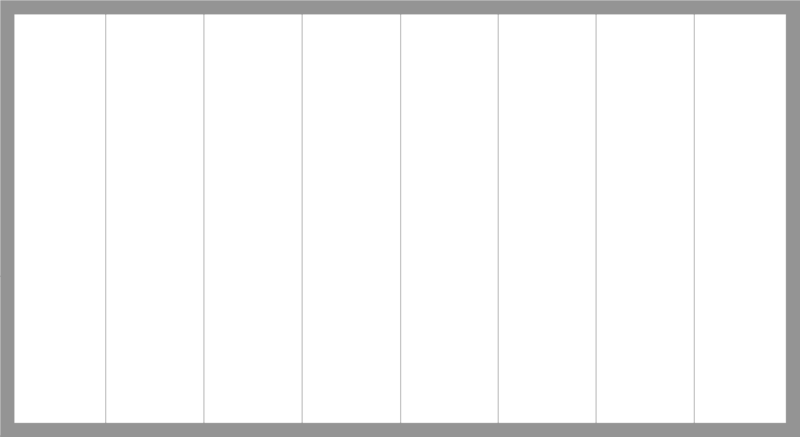 Import your chosen background and graphics. Add text to suit your needs. 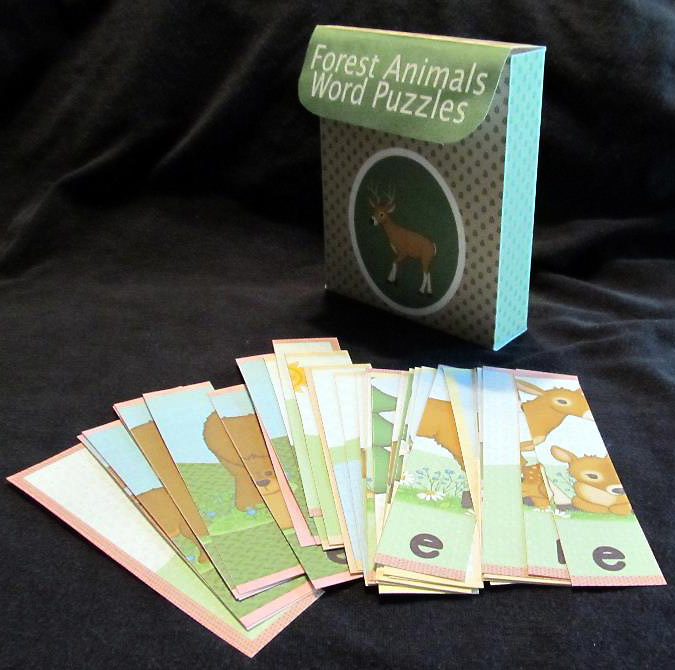 Repeat as need for as many forest animal word puzzles you wish to make. Laminate and cut out the puzzle strips. 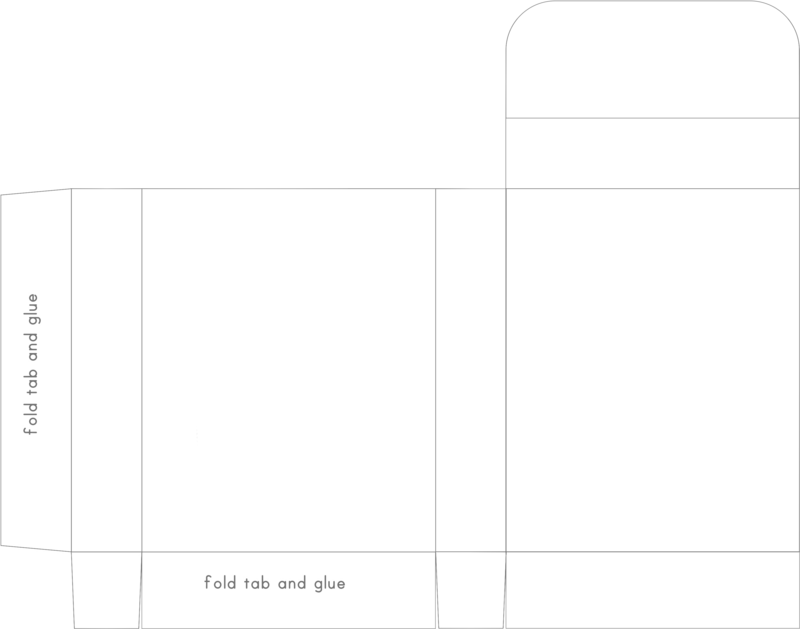 Open a landscape sheet in your print program. Import the word puzzle bag template. Add titles or headlines to suit your needs and print on highest setting. Cut the box out and glue the flaps as stated on the template. Add a velcro dot on the top flap. 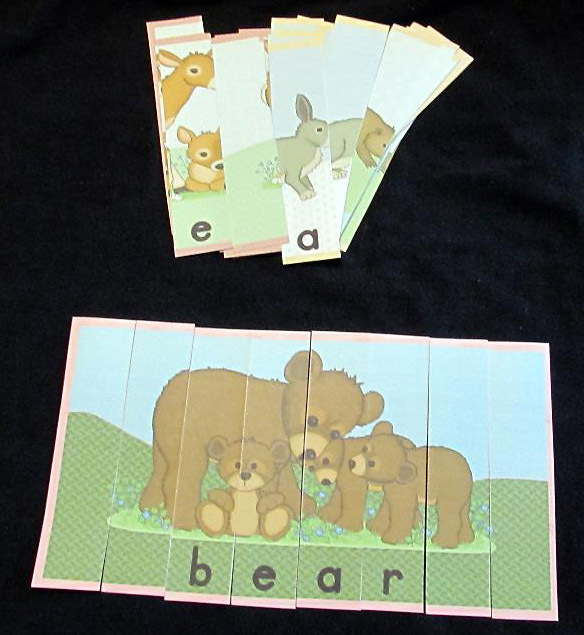 These make fun little gifts and are great for early learners.